This multi-use, whole-access trail between the cities of Concord and Dublin follows the Southern Pacific Railroad right-of-way established in 1891 and abandoned in 1977. 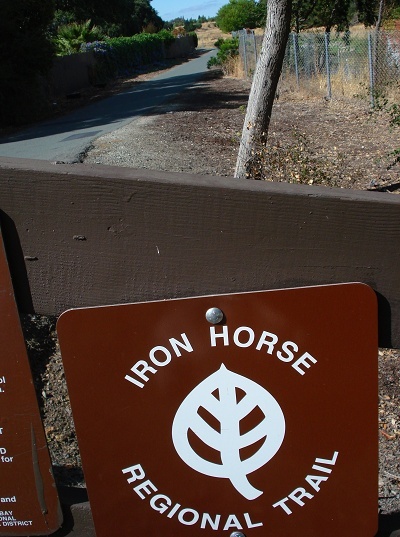 The completed Iron Horse Regional Trail will span the distance from Livermore in Alameda County to Suisun Bay in Contra Costa County, a distance of 33 miles, connecting two counties and 12 cities. Representing interagency cooperation and a community-wide effort by individuals and groups, this trail creates an important recreational and commute component for the communities it serves. The 20-foot-wide trail connects residential and commercial areas, business parks, schools, public transportation (BART, County Connection), open space and parks, regional trails, and community facilities. Helmet Camera Iron Horse Trail to Willow Pass Road and Monument Blvd.